Santoku knife from standard line. 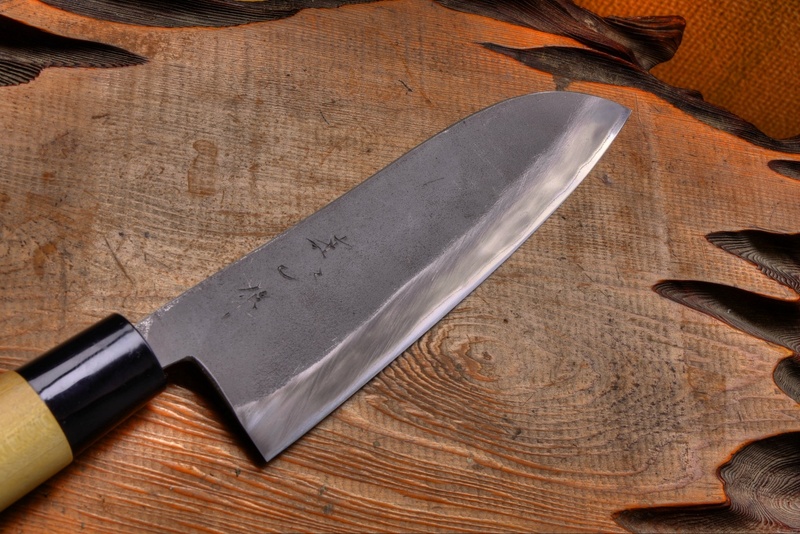 The knife is made of stainless clad blue steel. Forged like professional line, but has plastic hilt handle, not horn. 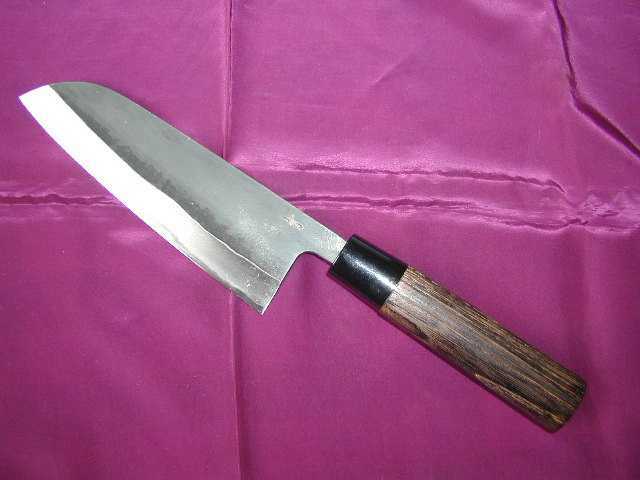 It is used for cutting vegetable meat, and fish. It is very practical and reasonable price. We also have some kinds of optional handles. 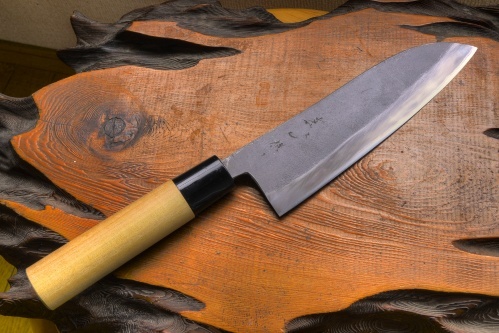 Shirouchi Santoku knife. Blade: 165mm. Total length: 300mm Blade: 165mm Thickness: Tapered spine 4.2 - 1.5mm Material: Stainless laminated blue steel Handle: Ho wood with plastic hilt.